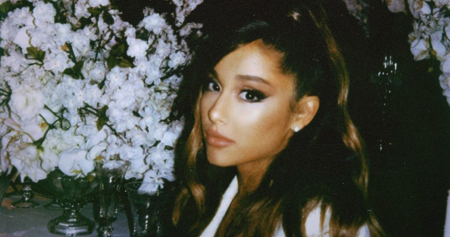 Ariana Grande debuts at Number 1 on this week’s Official Singles Chart with her break-up anthem thank u, next. The single – released last Saturday night – has amassed an impressive 73,000 combined sales in six days, including 6.7 million streams. It finishes over 26,000 combined sales ahead of its closest competitor, Lady Gaga & Bradley Cooper’s Shallow (2). thank u, next is Grande’s third UK Number 1 single but first ever solo chart-topper. Her previous Number 1s are: Problem ft. Iggy Azalea (2014) and Bang Bang with Jessie J and Nicki Minaj (2014). Despite being about past relationships, thank u, next has been praised for its positive messages of self-love. The song notably premiered just moments before Grande’s ex-fiancé, Pete Davidson, was due to appear on Saturday Night Live; previews had shown him referring to their break-up in sketches on the programme. Grande is only the fourth single to debut at Number 1 this year following Drake’s Nice For What and God’s Plan, and Dave & Fredo’s Funky Friday. The last female artist to do it was Taylor Swift with Look What You Made Me Do in August 2017. Jess Glynne jumps 11 places to Number 7 with her latest single Thursday, and Without Me by Halsey zooms 13 places to Number 9 – her highest charting single as a lead artist. Jonas Blue, Liam Payne and Lennon Stella’s Polaroid vaults 28 places into the Top 40 at Number 16 following their performance on The X Factor last week, and Zara Larsson edges closer to the Top 20 with Ruin My Life, up six to 22. James Arthur’s Empty Space rockets 39 places to 27 to earn him his eighth Top 40 hit. Further down, Clean Bandit’s new single Baby ft. Marina & The Diamonds and Luis Fonsi debuts at 33, ahead of Benny Blanco & Calvin Harris’ brand new track I Found You at Number 35. This entry was posted on Friday, November 9th, 2018 at 6:54 pm and is filed under Music News. You can follow any responses to this entry through the RSS 2.0 feed. Both comments and pings are currently closed.